A lot has happened since I last posted! We added to our family – Lily, a yellow lab puppy, joined our pack just over 3 weeks ago. She’s a sweet girl, but full of mischief and energy. She makes our hearts happy and keeps us on our toes! I also quit my job! I’m happy to say I’m back to being a full time mom, homeschooler, and blogger. The past year of work has been rewarding, but also very difficult in many ways. It’s time to take a breather and simply enjoy my girls. Speaking of my girls, I wanted to create a fun new treat for them to enjoy after homeschool in the afternoons. Since we are dairy-free, we don’t eat Nutella, but while I was in the grocery store I came across a jar of Justin’s Chocolate Hazelnut Butter, which is not only gluten-free, but vegan too (hooray!). 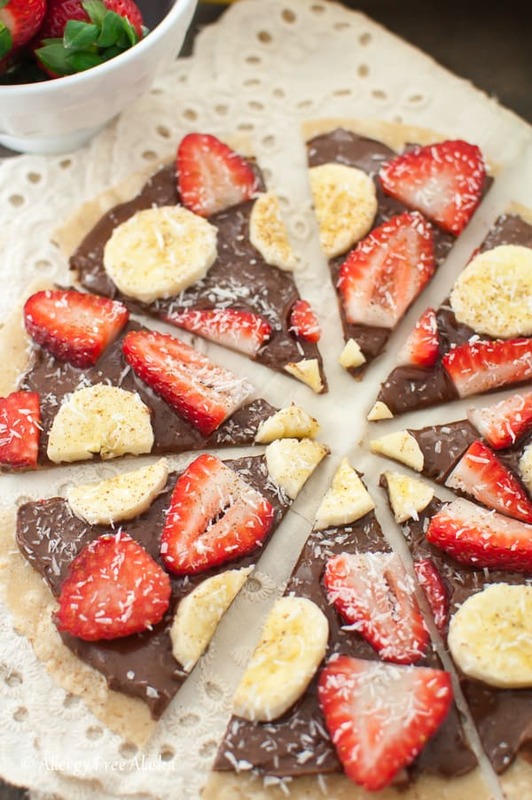 A fruit pizza came to mind, but I wanted it to be easy to make, so I decided to make a dessert pizza on a tortilla. Gluten-free tortillas are available for purchase in most stores, so if you don’t have homemade on hand (like some of my Grain-Free & Vegan Tortillas), feel free to use store bought. The girls loved their Sweet Tortilla Pizza! Not only is this pizza visually appealing, it tastes delicious, too! 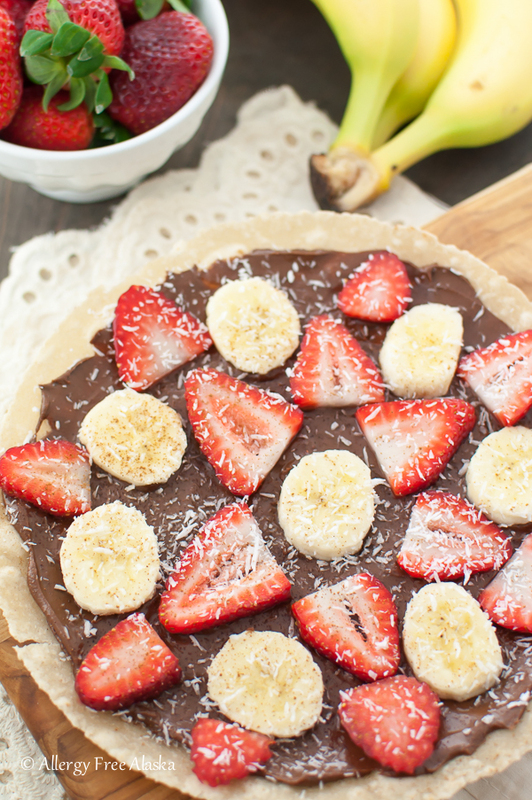 The sweet, juicy strawberries paired with the ripe banana and chocolate hazelnut butter is a match made in heaven. 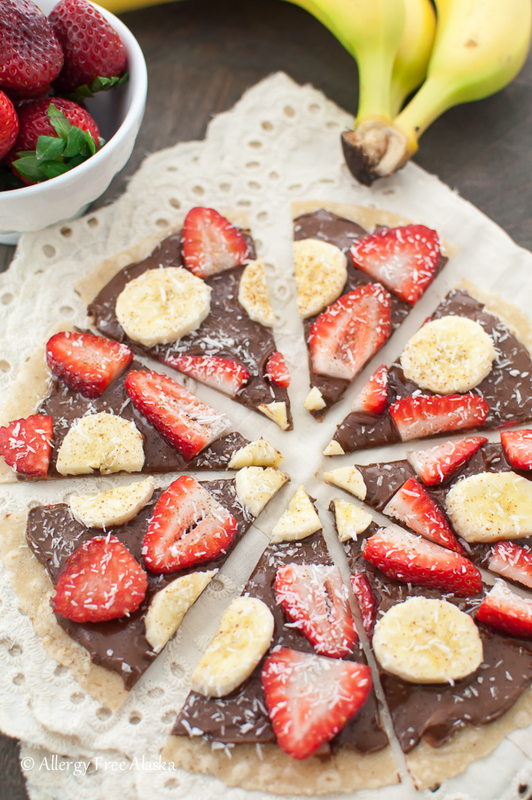 This Gluten-Free Sweet Tortilla Pizza will easily become a family favorite! I’m teaming up with 14 other bloggers to offer you a chance to win an Artisan Kitchen Aid Mixer, with both a glass bowl, and a stainless steel one! What color would you choose?! I really love the Raspberry Ice and the Plumberry (not that they would match anything in my home). SCROLL DOWN TO ENTER VIA THE WIDGET BELOW. 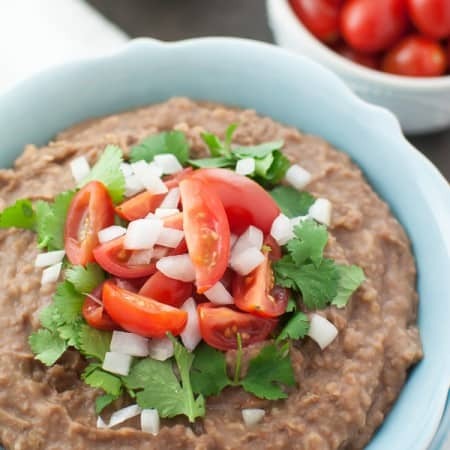 Spread the chocolate hazelnut butter out on the gluten-free tortilla. Top with the banana slices and strawberry slices. 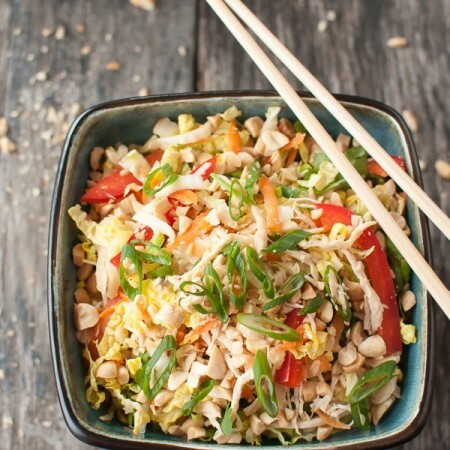 Sprinkle on the unsweetened shredded coconut, and top with the small sprinkle of ground cinnamon. Enjoy! Open to U.S. residents only, 18 and older. Winners will have 48 hours to respond before new winner picked. Contest ends 2/10 at 11:59pm Mountain Time. I would love to win the Raspberry mixer! Thank you for this opportunity! Such a great color, isn’t it? I would love to win a red kitchenaid. Thank you for this chance. The teal mixer would be my pick. I love this tortilla as an afternoon snack idea! The red mixer would be so fun to win! I think we’ll have to have this for dessert this week, thank you for the inspiration! I just recently found you on Instagram! 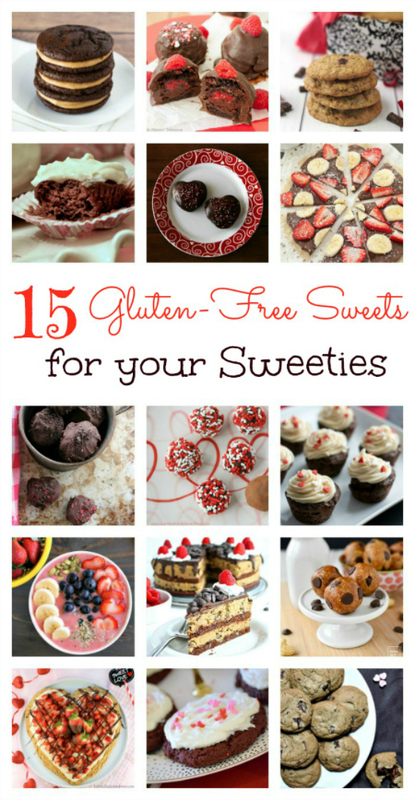 I’m thinking of going gluten free to help lose weight and your recipes look DELICIOUS. Thank you so much for this incredible opportunity to win a beautiful kitchenaid! I have always wanted one!! Love the red mixer! Totally goes with my kitchen for sure. I would love to win one of these! Thanks for participating in the giveaway, Megan! I’d love to win the Raspberry Ice! I’m getting ready to decorate a new kitchen, so that could be a great focal point for me! This looks delicious! And so easy…I just have to try it! What a great giveaway! I’d love any of the colors: so fun! 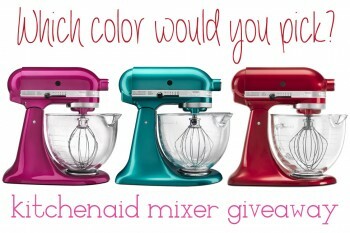 I’d love to win a new stand mixer, especially a KitchenAid! The “other” brands just don’t seem to last with daily uses. I love to bake desserts and make my own bread which is quite hard on a mixer. Yum! That look so good. I think I would pick the Sea Glass color! Teal is so cute. Love it! Great round up and giveaway. I don’t have room for a mixer, but I will MAKE ROOM! Lol! 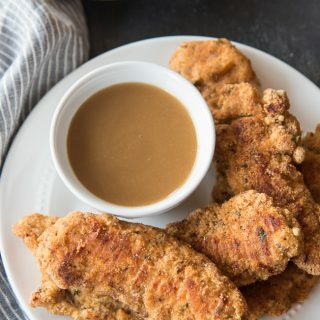 These look delish, Megan! My white one is about to die and I’d love the turquoise! The red or turquoise – tough choice though! Red of course ! Thank you for the chance to win.. I love the teal mixer! I have to find the vegan Nutella too! 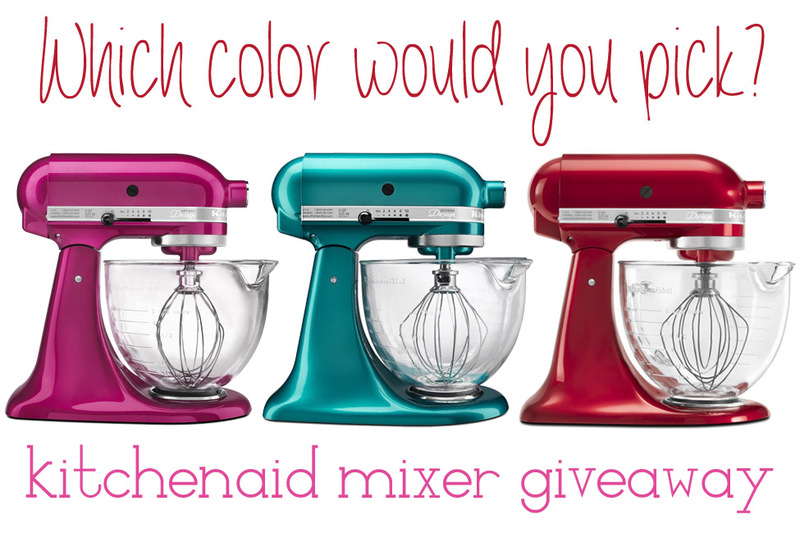 I would love to win one of the mixers!